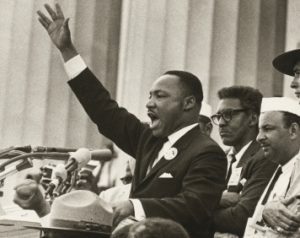 Excitement is building as the World House Choir and Cincinnati singing friends rehearse for the performance of the powerful 57-minute oratorio: Bayard Rustin: The Man Behind the Dream. We have invited singers from several area choirs including the Dayton Gay Men’s Chorus, Cincinnati Men’s Chorus, MUSE, Cincinnati’s Women’s Choir, several area church choirs and the Martin Luther King Coalition Chorale to join us in performing this piece and we have gathered a mass chorus of over 150 singers. This electrifying work by Cincinnati composer Steve Milloy is scored for mass chorus, two soloists and a small instrumental ensemble. 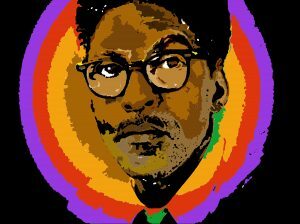 It tells the dramatic story of Bayard Rustin, a close associate of Dr. Martin Luther King, Jr. Rustin not only introduced King to Ghandian non-violent methods of protest, he was also largely responsible for organizing the massive and historic March on Washington in 1963. 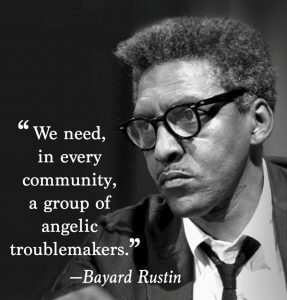 But because he was an openly gay man in mid-twentieth century America, Rustin was forced to remain in the background of the movement. In Yellow Springs on Thursday September 6 and Saturday September 8 at Antioch College’s Foundry Theater. Performance times are 7pm. In Dayton on Friday September 7, 7pm at Westminster Presbyterian Church.